Travelling with a baby in tow would probably not be the way most parents envisioned how they would see the world. 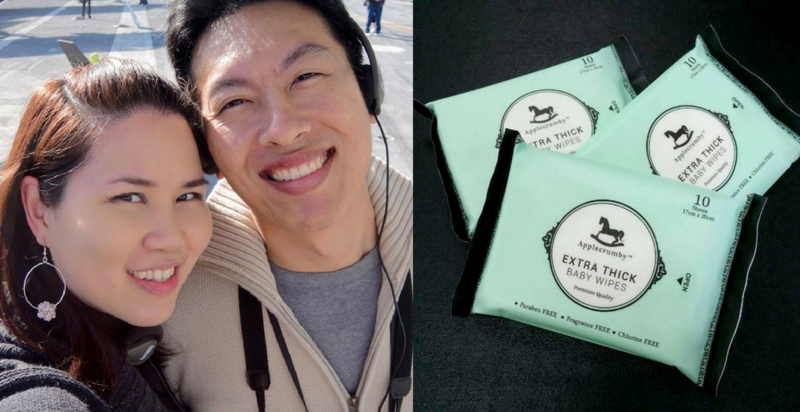 With Sean and Jesmine, the exposure to beautifully-packaged, organic baby products in local stores while they were on the road with their daughter created an initial awareness of the gap in the Malaysian market. At that time, organic, sustainable products in Malaysia were confined to the fresh produce in supermarket aisles. They realised that there was little information on the hazards of the alphabet soup of chemicals such as SLS, SLEs, BPAs, which are found in both in baby products and pest control chemicals with an alarmingly similar frequency. Positive reinforcement—from friends and families who were more than interested to get their hands on unique and safe baby products for their own kids—led to the pair leaving cushy freelance jobs in property investment and interior design to dive headfirst into the world of e-commerce. The couple founded Applecrumby & Fish (A&F), a baby essentials e-commerce company, committed to curating and delivering products that are safe, natural and organic (SNO). A quick look at their website offers up the whole works, from skincare to diapers, food, toys and hardware. It certainly helped that they were backing up their work by offering eye-catching products that were not otherwise found on shelves. When asked about the similarities between its brand name to the American retailer, Sean explains that it happened by chance. Sean and Jesmine are adamant that they only sell products that are true to A&F’s ethos. All products found on A&F’s website undergo a stringent vetting process to meet the criteria of being SNO and responsibly manufactured, while fitting with the look and feel of A&F. Screenshot from the Applecrumby & Fish website. In the early days circa 2011 when the brand was first founded, the husband-and-wife team worked their way through local stores and distributors, essentially putting down their process to “a lot of sleuthing and manual work”, to filter out products that didn’t meet their standards. They quickly learned that rejection went both ways. When A&F first started, they ran into two problems. Curating unique offerings had the effect of turning heads, but as an online business operating on searchable keywords, A&F struggled with a different alphabet soup altogether—SEO and SEM—which dictated their visibility online. In addition, SNO products come with the hefty price tag carried by imported goods. For most people, Malaysian sensibility dictates that if two products do the same thing, one must go for the best price. They certainly had their work cut out for them—particularly with A&F’s entire business model built on offering premium products with an upmarket look and feel, compounded with a low awareness on SNO offerings in baby products. They began educating people on what A&F stood for—why SNO products were worth their time and money, and sussing out what really mattered to them. A&F’s initial customer base consisted of the well-travelled, well-educated, and mainly urban segment of their target market. As they developed their relationship and understanding of their clients’ needs and wants, their product offerings expanded, allowing them to welcome a more diverse set of customers. This afforded them stronger negotiation power with distributors, allowing them to sidestep the premium price tag. Many of their products now are price-matched to a number of leading brands who do not have the same commitment to responsible sourcing. It goes without saying that an expanding client base checking out their A&F shopping baskets online has made visibility less of a problem than it used to be. Sean and Jesmine’s approach to raising this particular baby is not dissimilar to raising their other (human) baby—slowly and steadily, with an eye on the prize. 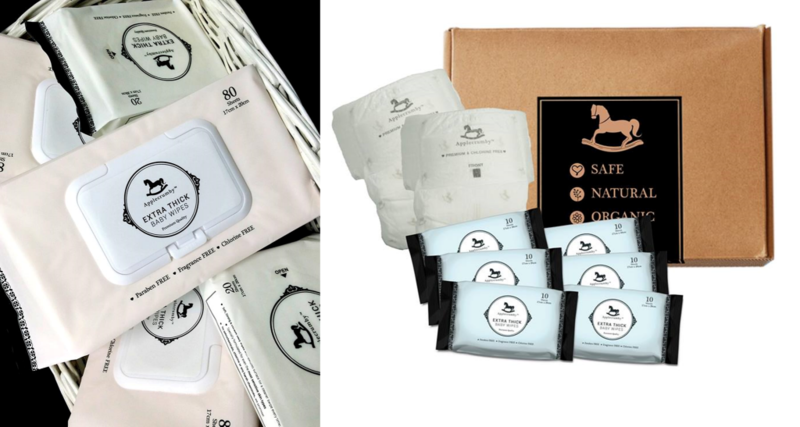 This spurred them to invest their funding to develop in-house A&F brand products: baby diapers and baby wipes. Sean explained that the strategy behind this move is to allow A&F to partner collaboratively with any platform, big or small, online of offline, who serve the same market. A&F wins out as these platforms would bring them to more homes without making enemies of these e-commerce giants. This also means they can focus on getting it right with their two core A&F brand products, establishing a solid foundation for more to come. A&F claims to have grown 20 times since their launch in 2012, and by mid-2018, they are estimating a revenue growth of 30–40%. It has certainly gained quite a fair bit of ground compared to when they first launched. At the end of the day, it’s clear that Sean doesn’t regret leaving his previous work to focus on A&F now.